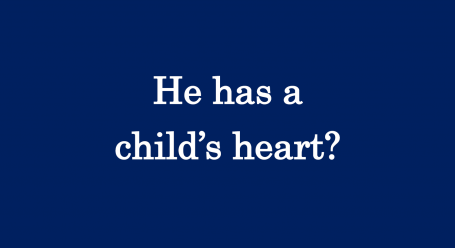 He has a child's heart? "He is a kid at heart." "He is a child at heart." "He has a childlike heart." "He has a pure heart."